Equatorial Guinea celebrates its Independence Day on October 12. This public holiday was inaugurated to commemorate the country's independence from Spain in 1968. The Republic of Equatorial Guinea is a small country in Central Africa. The colonization of the territory began in 1474, when Portugal claimed the islands of Annobón and Fernando Pó (Bioko). Three centuries later, Portugal ceded the territory of Equatorial Guinea to Spain. In 1900, Spain also acquired the continental enclave of Rio Muni. Since 1926, the territory was known as the colony of Spanish Guinea. In 1946, its status was raised to a province. In 1959, Spain attempted partial decolonization and divided Spanish Guinea into the provinces of Bioko and Rio Muni that comprised a Spanish overseas territory. However, the attempt failed. 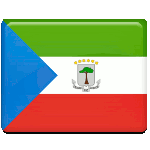 Equatorial Guinea was officially declared an independent republic on October 12, 1968. Equatorial Guinea Independence Day is a national holiday widely celebrated throughout the country. It is marked with colorful parades, official speeches and ceremonies, formal receptions, open-air performances, and other festive events. The main celebration is held in the capital city of Malabo.